TORONTO, ON--(Marketwired - June 19, 2015) - From June 22 to 24, world-class chefs, maîtres, sommeliers and pâtissiers will come together at Memories Miramar in Havana for the 5th International Conference on Dining & Gourmet Excellence. For three days, Memories Miramar will host these industry-leaders who are meeting to exchange ideas on methods and best practices for the preparation and communication of food and beverage within the tourism industry. They will also discuss the future of restaurants and supporting businesses as Cuba begins to emerge. Memories Miramar was chosen as the setting for this gathering because of the quality and variety of gourmet options already being offered by this hotel and its spacious design and grand features. The 5th International Conference on Dining & Gourmet Excellence will bring top global talent to this newly-acquired establishment where they can experience the essence of Memories hotels. 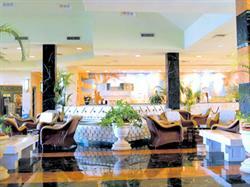 The hotel is part of the rapidly growing Memories brand that now has eight properties across the Caribbean and Cuba. Recent introductions include a family-friendly Memories Holguin Beach Resort. The chain has also recently announced its first ever Grand Memories property with the introduction of Grand Memories Varadero in April. For more information or to book your next vacation, visit www.memoriesresorts.com or contact your travel agent. Memories Resorts & Spa welcome guests to "Celebrate the Moments" with family and loved ones in lush tropical settings across the Bahamas, Cuba and the Dominican Republic. Memories properties provide top-notch facilities and amenities, laid-back 'toes in the sand' elegance with personalized service and spacious accommodations to suit the needs of each traveler. 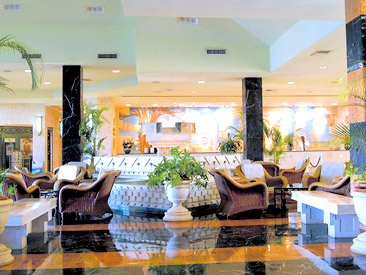 With world-class à la carte dining, premium drinks, and day-to-evening entertainment, couples and newlyweds enjoy Memories Resorts & Spa as the ultimate romantic hideaway to create unforgettable memories www.memoriesresorts.com.